Though the plot opens the door to some compelling storytelling only to trip while walking in, there are so many other reasons to give Toukiden 2 a spin. This is faster and more action packed when compared to other titles in the genre. It features a truly open world with load times only occurring when first starting up, fast traveling, story transition or game over. Even then, loads are short. The player can explore and quest for hours without ever needing to stop. When taking into account the massive amount of options packed into this title, they might not want to. Toukiden 2 takes a core from Kiwami and makes some subtle changes that develop the whole thing from Monster Hunter clone to something unique in the genre. The new, faster combat is a ton of fun and while cramped controls and limited presentation are there and a bother, they aren’t the end of the world and don’t frequently get in the way of the fun. Toukiden 2 will likely be swept away in the hubbub of larger AAA releases. But if you’re a fan of this style of Action RPG, do yourself a favor and check it out. 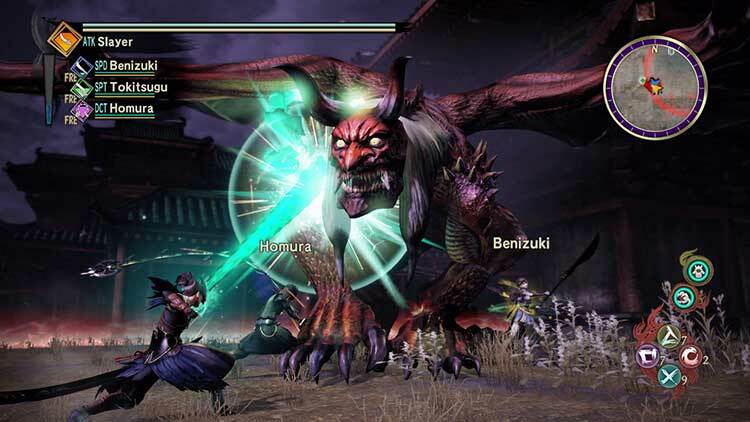 There’s even a decent online co-op for up to four people where you can rove the world and hunt Oni together. It’s a fun and solid Action RPG, and the best Monster Hunter clone we’ve seen yet. Still, if you’re a combat junkie you’ll enjoy the game, and between the many weapon types, new Demon Hand capability, and return of Mitama spells and buffs, you’re unlikely to get bored even if the level of complexity doesn’t exactly match up with what you seek. If you’re in it for what Omega Force does well, then you likely already know you want the game. Otherwise, Toukiden 2 is a fun diversion that is generally outclassed by its open-world RPG stablemates. Toukiden 2 ultimately offers an interesting setting, imaginative creature designs, story- and exploration-driven gameplay, and unique combat elements. While its flaws are obvious, it’s not hard to forgive them when you’re in the heat of battle, chopping off a hellish spider-demon’s legs one by one and watching its life force disappear with every slash, shot, and punch. Toukiden 2 is a huge step up from its predecessor, and is a smart evolution of the gameplay that Monster Hunter fans have come to know. By opting for a more story-focused experience, it manages to forego feeling like a grind, and the open-world aspect allows players to really take in their surroundings. While there are still some shortcomings, such as a sometimes confusing map and lackluster multiplayer, this is an action game that is worth checking out, even for those that haven’t traditionally been fans of hunting games. Toukiden 2 elevates the series with new gameplay features and an open-world setting that makes the game feel more cohesive and different to other titles in the genre. It manages to keep intact the best traits of its predecessors like an interesting lore, well-defined characters and a complex battle system, while also adding elements that improve the overall result. However, the lackluster graphics will reduce its mainstream appeal. It’s another solid entry in the series and probably your best bet for a demon-hunting experience on current gen consoles. Though at times it can be monotonous and tedious, it allows the player to truly variate the gameplay. It doesn’t hold your hand or spoon feed you, and that’s always nice. With Toukiden 2, it’s good to be a Slayer again. 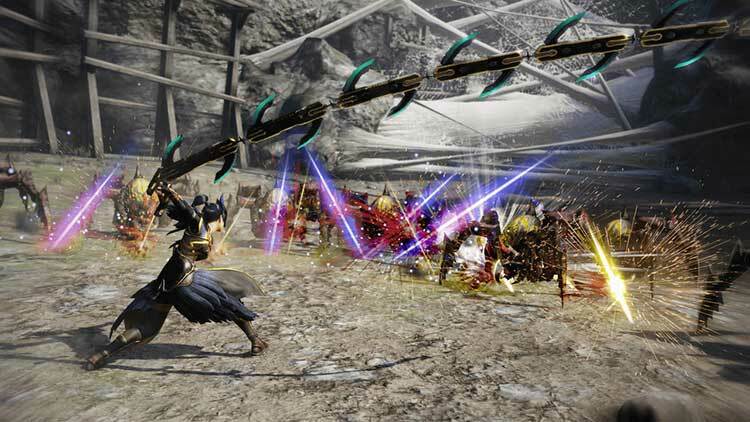 Toukiden 2 takes the monster hunting formula, opens it out to the world, and provides a sufficient challenge to complete the game. More determined player are able to easily get the most out of the game though with so much content available post main quest line. The story is independent to that of the first game and because of this, the game ensures to fill players in so that it is accessible to those who haven’t. Toukiden 2 is packed with new concepts, battle mechanics, an open-world and an evolved application of previously existing elements that both fans and newcomers to the franchise will be spoiled with and enjoy. The inclusion of more freedom and variability were needed aspects of it previous titles that this sequel successfully implements. Toukiden 2 is a great leap towards a much-needed evolution, and it dares to add new things and challenge tradition. Hunting games usually get an enhanced edition that adds all kinds of stuff and I eagerly await what Omega Force will bring on next time around. In the mean time, I’m gonna play more of this game for a few dozen more hours. Monster Hunter fans should check this game out. It has a lot of depth to it while still being an accessible hunting game without all the preparation needed. It feels a bit more action-based, while still feeling familiar. 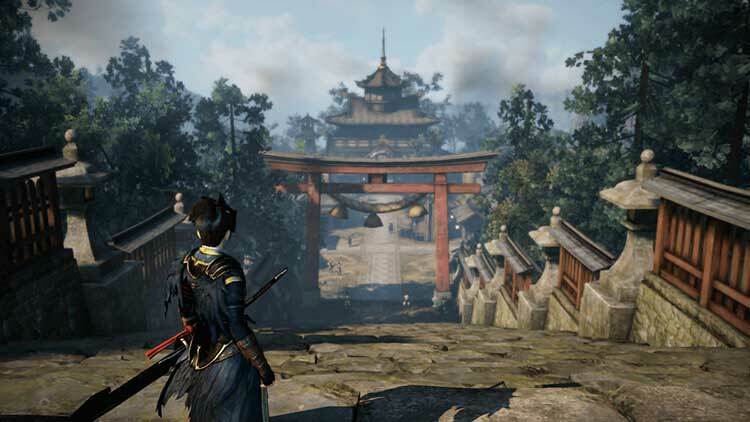 At the same time, action RPG players will find a lot of fun here with Toukiden 2, and people always wanting to get into the Monster Hunter genre can find an easy time here. 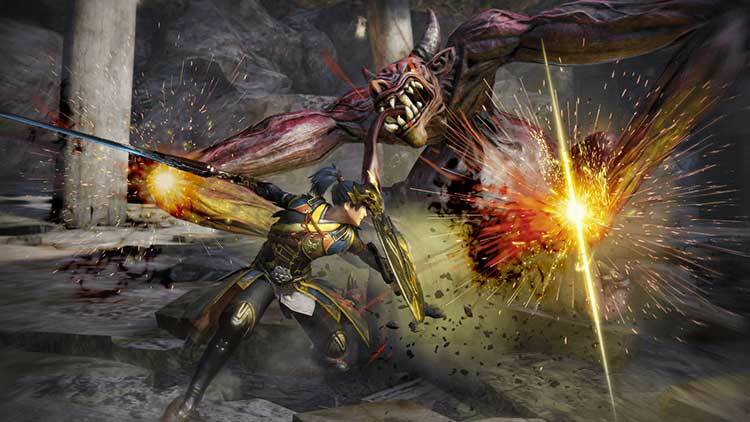 Toukiden 2 has a rough start, but manages to pick it up and be a solid member of the monster hunting community. 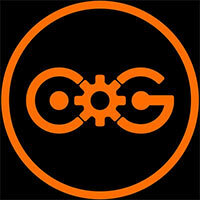 It will manage to hook you in, with its engaging world and simple crafting system. 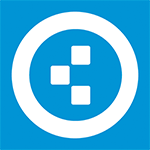 Unfortunately, it might lose you to the weird and often dense AI, and the unimpressive story. The open world is still quite basic and yet conspires to push the co-op features into the background. But that does at least move this outside of the realm of mere clone, and confirms Toukiden 2 as a game that Capcom should be paying close attention to if they want to move the genre forward themselves. Minor annoyances aside, Toukiden 2 has some truly addictive gameplay and tonnes of content to chew through. The game's dripping with atmosphere and looks great, with plenty of varied, large open world areas to explore. Meanwhile, the battle system is satisfyingly fast paced, and nothing quite compares to the power trip of ripping off the body parts of a giant demon. In short, Toukiden 2 is everything a sequel should be. Instead of lazily expanding on the original game, which would have been so easy to do, Omega Force actually went back to the drawing board, completely reinventing those parts that needed work. By streamlining much of the dull admin and encasing the game in a larger open world, Toukiden 2 manages to break free from the pack. As a result, it’s easily one of the subgenre’s best entries to date and one that, in some ways, is preferable to Monster Hunter. 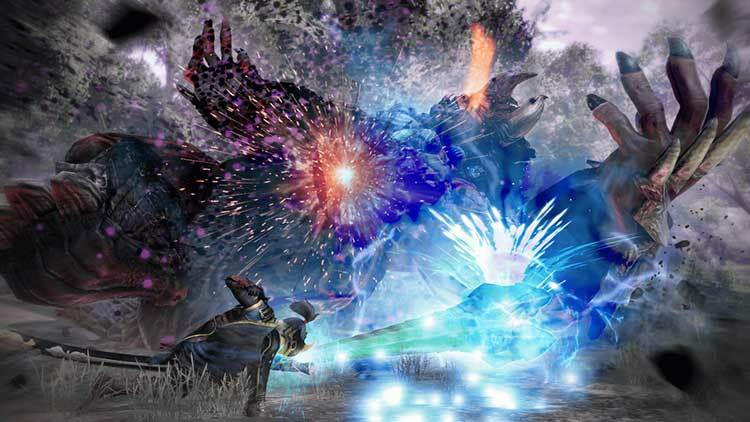 Generic quests and below average gameplay mechanics and story make Toukiden 2 a very dull experience, one which successfully reproduces the Monster Hunter formula only in part, leaving important elements by the wayside to the detriment of the experience. It's a shame Omega Force couldn't make it work, but at least there are some good ideas shining through. Toukiden 2 is packed with so much content that you can enjoy by yourself or with four other friends. The crafting is simple enough for anyone to get into and taking down a giant Oni can be incredibly satisfying. It’s just a shame that for everything good Toukiden 2 does, there is always something holding it back. Toukiden 2 hace lo que toda secuela debería aspirar: mantener lo que funciona y aportar novedades. Puede que a simple vista no difiera mucho respecto al original, al final todo consiste en cumplir misiones, mejorar equipamiento y atacar los puntos débiles de cada criatura, pero el mundo abierto y el brazo demoníaco –entre otros ajustes- son cambios profundos que afectan al ritmo de juego y la estrategia en el combate. Con una historia la mar de interesante, combates espectaculares y cientos de horas de diversión, Toukiden 2 consigue escapar de la sombra de Monster Hunter y librar su propia cacería. 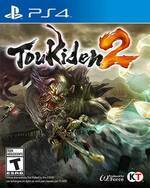 Si os gustó el primer Toukiden, este os va a encantar. La sombra de Monster Hunter es alargada, pero Toukiden 2 consigue despuntar demostrando que tiene estilo propio. Un estilo que engancha que da gusto. Toukiden 2 hace todo lo que debería hacer una secuela pero tomando un riesgo bastante interesante al cambiar el concepto que todos conocemos del género. Conserva el gran atractivo de su trama, que vuelve a sorprender por su lore y sus personajes sin descuidar su jugabilidad, ofreciendo nuevas formas de afrontar a los enemigos con mejoras que dan una mayor capa de profundidad al meta de este. Como les he comentado, me quedo con una historia que engancha desde el principio, un gameplay más cómodo dada la transición natural de sus misiones en un mundo abierto y con un combate más fluido gracias a la demon hand. Desafortunadamente esta secuela también carga con las desventajas de su predecesor y que tienen que ver con la repetición constante de muchas de sus misiones y actividades que podrían sentirse tediosas luego de sesiones largas de juego, lo que nos alejan de una calificación perfecta o de que el juego esté entre lo más destacado del año, pero sin duda eso no va a obstaculizar el hecho de que los amantes del género y de los hack’n’slash de “botonazos” muy al estilo de Omega Force lo disfruten. Toukiden 2 mantiene el nivel de la producción media de Omega Force que nos entrega, de nuevo, un producto para los más acérrimos seguidores de sus diferentes franquicias. Para el ignorante en el universo propuesto estamos ante un juego en el que cuesta centrar toda nuestra atención. Y es que a pesar de que Toukiden 2 no llega a igualar la grandeza de la producción de Capcom, lo cierto es que resulta tremendamente amena y atractiva, ofreciéndonos cientos de demonios que exterminar, decenas de misiones que materializar, múltiples opciones de mejora de equipamiento y personajes bastante curiosos con los que dialogar. Una aventura recomendable por completo. Das ist mächtig motivierend, zumal vor allem die Charakterentwicklung durch eng verknüpfte Bausteine zum Lauf im Hamsterrad anspornt. Zum einen ist Toukiden 2 aber weder auf PlayStation 4 und schon gar nicht auf Vita technisch zeitgemäß, zum anderen sind die separaten Missionen der Onlineanbindung besonders für ein großes Konsolenspiel nicht mehr als eine nette Dreingabe. Dass man die offene Welt nicht gemeinsam mit Freunden erkunden kann, fehlt hier einfach. Toukiden 2 garde les solides mécaniques globales de son prédécesseur, en apportant son lot de nouveautés. L'aspect RPG, loot et craft est toujours efficace, et les combats sont nerveux, dynamiques et grisants. Le jeu quitte en revanche le giron des Monster Hunter-Like classiques pour proposer une aventure en monde ouvert. Le titre se forge une personnalité plus distincte en adoptant une progression dans des zones plus ouvertes où les affrontements avec les Onis s’entrecoupent de quêtes et de phases d’exploration. Plus accessible qu’un Monster Hunter, la production d’Omega Force renforce son approche hack’n slash avec des combats encore plus nerveux (merci la main du démon) et un panel d’aptitudes plus étoffé. Plus accessible et nerveux que son illustre modèle, Toukiden 2 pourrait convertir quelques curieux prêts à prendre toute la mesure du terme “chronophage”, même si le fait qu’il soit vendu au prix fort sur PS4 et PC risque d’en refroidir quelques uns. Pour ceux qui ont déjà plié les précédents volets, à moins d’être en manque, il serait quand même plus sage de surveiller une remise du coin de l’oeil. Pur vantando una campagna particolarmente corposa, con tantissime missioni che è possibile affrontare da soli o in cooperativa online, nonché un discreto arsenale e meccanismi di bottino e di artigianato più accessibili rispetto a quelli di Monster Hunter, il titolo di Omega Force perde di vista alcuni concetti fondamentali e si lancia a testa bassa in una fase introduttiva tediosa e banale, da cui non si esce che dopo svariate ore, accompagnata da un open world ampio ma vuoto e da una grafica modesta. La complessità, che dovrebbe essere uno dei punti di forza del titolo, gli si ritorce contro a causa dell’incapacità di proporre al giocatore gli strumenti giusti per immedesimarsi. Il risultato è un’esperienza noiosa (per via di tanti dialoghi lunghissimi e privi di alcun tipo di ispirazione), ostica (per via di menu tutt’altro che intuitivi che il gioco cerca di spiegare con didascalie pesanti e per niente amichevoli) e per molti anche proibitiva, dal momento che il gioco è doppiato in giapponese con testi in inglese. C'è ancora spazio per migliorarsi, ovviamente, e il prodotto finale non può ancora competere con gli rpg open world che dominano le classifiche di vendita, ma la crescita del brand è stata costante sin dai suoi esordi, e tutti gli amanti dei giochi “a la Monster Hunter” dovrebbero prendere in seria considerazione l'acquisto di questo sequel. Toukiden 2 to kilkadziesiąt godzin niezłej zabawy w stylu gier takich jak Monster Hunter, God Eater czy Soul Sacrifice. 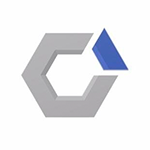 Produkcja Koei Tecmo wyłamuje się jednak z szablonu charakterystycznego dla wymienionych tytułów i poza systemem polowań oferuje też poruszanie się po sporym otwartym świecie z masą misji pobocznych. Oba elementy współgrają ze sobą naprawdę dobrze.